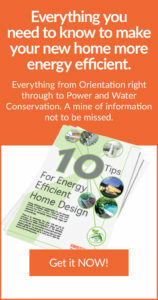 As we point out in our eBook: “10 Tips For Energy Efficient Home Design“, the emphasis on clever design, sustainability, functionality and liveability is the main focus of the home owner. Builders with foresight are now tackling well-organized floor plans with minimum waste of space to dove-tail with the movement towards smaller block sizes and more realistic end user requirements. 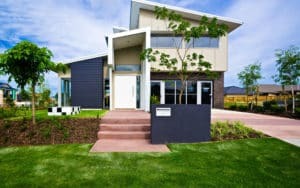 Gone are the days of the McMansion status symbol: a big, inefficient box with more rooms than you know what to do with and none of them taking into account the aspect, orientation or benefits of its location. The increase in average house size over the last few decades peaked at the end of 2009 and has seen a rationalized reduction in the last 5 years. 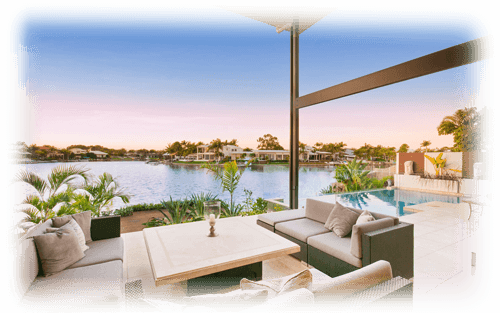 No longer are new home owners infatuated with rooms for the sake of rooms. 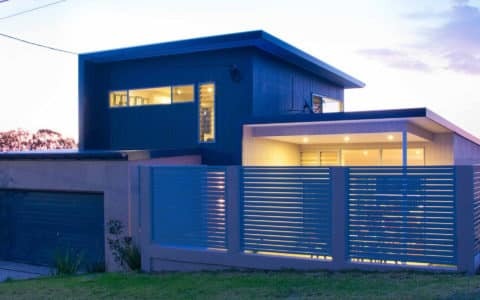 Instead they are taking a more tempered approach to what constitutes good design and what is the most effective, practical and sustainable way of achieving those goals. 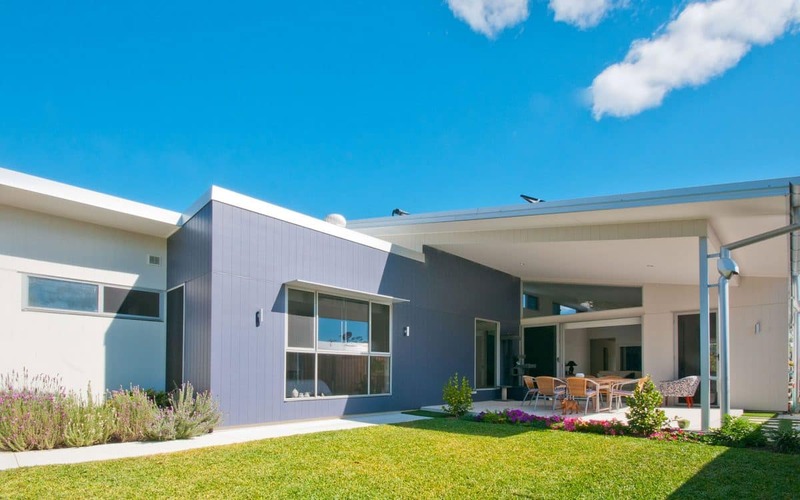 A new display home under construction in Carseldine demonstrates what can be achieved in a smaller space when active planning is the focus for a smaller footprint home. 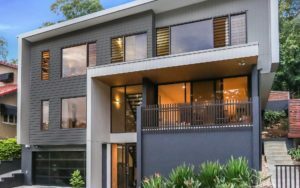 At a real-world 190m2, the 3-bedroom contemporary display home achieves far more than its much larger counterparts in the project home arena. 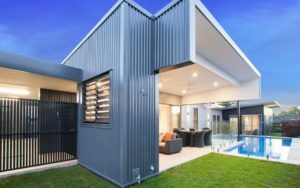 With raking ceilings, floor to ceiling windows, clever dual purpose rooms and an emphasis on function rather than form, it is poised to get the traditional building set talking. 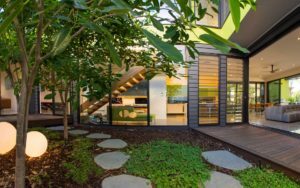 Whether it is a rationalization of current new home owners, an alternative to apartment living or finally, customers building homes that address their immediate needs and not listening to out-of-date real estate agents talking about what the re-sale market requires, the movement to smaller, smarter sustainable homes is here to stay. 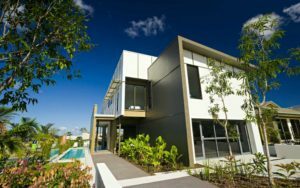 Especially if you have an inner city homesite that other Brisbane builders may find limiting. For more details, please call 07 3714 5900 and speak to one of our dedicated team members. 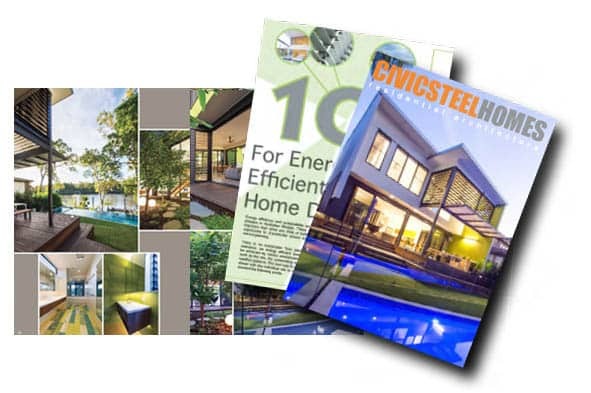 Civic Steel Homes wrote the book on sustainability. The last word on sustainable homes, “10 Tips for Energy Efficient Home Design” will tell you how to dramatically reduce your energy usage. 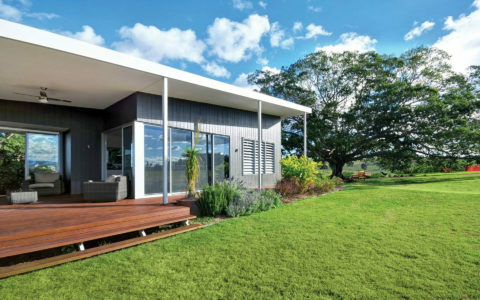 If you’re about to build a new home, this fact-packed Whitepaper will be one of the most important design documents you’ll read. Simply click on the image on the left to start the download.